Spain’s Congress of Deputies on Thursday rejected a motion by the Unidos Podemos (United We Can) parliamentary group to suspend debate on congressional approval of the EU-Canada CETA trade agreement and send the matter to Spain’s Tribunal Constitucional (Constitutional Court) for review, thereby making all but certain the country’s ratification of the controversial free-trade accord. Deputies of the governing conservative Partido Popular (PP) were joined by legislators from the Socialist party (PSOE), Ciudadanos, the Partido Nacionalista Vasco (PNV) and Partit Demòcrata Europeu Català (PDeCAT, formerly Convergència Democràtica de Catalunya) in a 258-86 vote blocking the constitutionality challenge from Unidos Podemos. 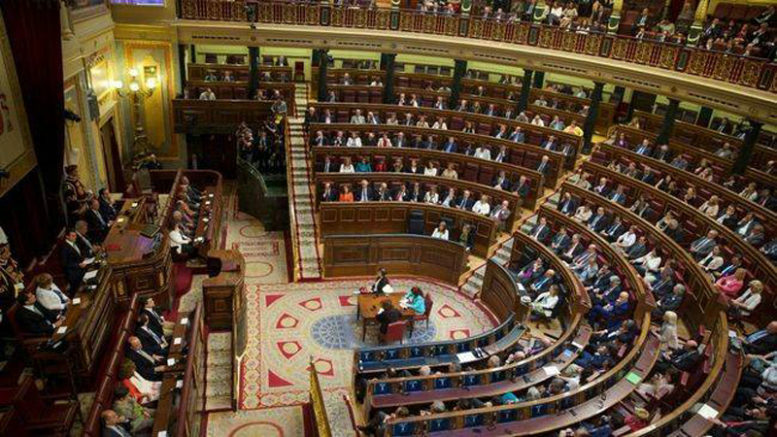 A subsequent move to amend the the treaty proposed by Unidos Podemos was also knocked back by a vote of 262-81, with one PP legislator abstaining. Approved in February by the European Parliament, the Comprehensive Economic and Trade Agreement (CETA) must be ratified by parliaments of 27 of the 28 EU member states, 14 of which can also put the treaty to a referendum prior to approval. If enacted, the accord will eliminate an estimated 98% of the trade tariffs between Canada and EU member countries. Much controversy has surrounded the free-trade deal, including its provision for the estableshment of a new Investment Court System (ICS) that would operate separately from domestic laws in Europe and allow private corporations to sue governments at the national, regional and local level in Europe outside the legal systems of EU member countries for practices the corporations believe discriminatory and harmful to their business interests.